I figured since I have returned state-side it was time to bring back my weekend reading posts. I have been in Atlanta since Wednesday for a conference. 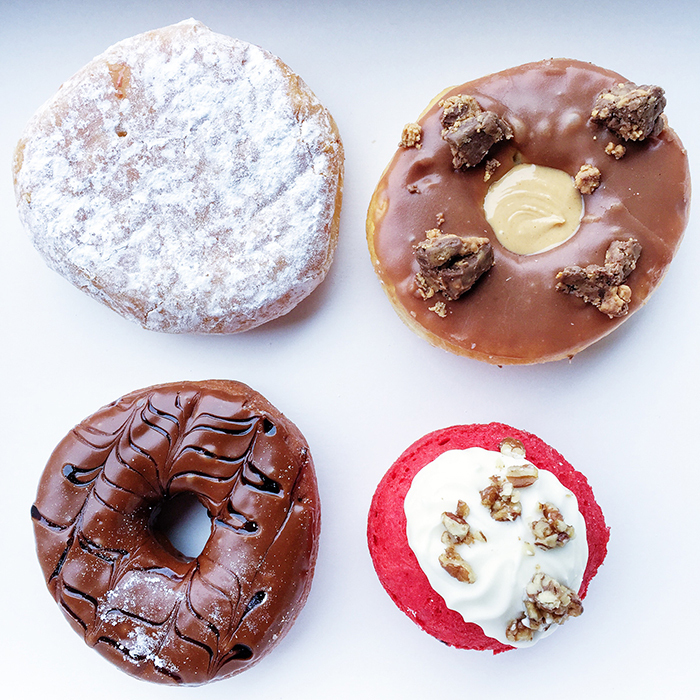 Those amazing donuts pictured above are from Sublime Doughnuts, which everyone on Instagram said was a must-visit in Atlanta (spoiler, they were right). As usual, when I get home from being abroad I like embark on some home improvement and decorating projects. Thanks to Framebridge, I will soon have a new gallery wall in my living room to debut (so excited!). I also want to update my TV stand and I am desperately searching for an affordable set of navy chinoiserie vases (this is my inspiration). So far these are all I can find, any suggestions? I am absolutely lusting over this lace dress. 5 tips for keeping your clothes clean while you travel. Speaking of travel, if you are studying abroad this spring make sure you check out this post. How adorable and fun are these donut Soludos espadrilles (one of my favorite shoe brands for summer travel btw). Like everyone else, I am currently binge-watching Making A Murderer. I find it fascinating but also sad and frustrating. I really enjoyed this insightful article about the series and everyone's love of Avery's defense lawyers as well this article on why it has been such a hit. I finally discovered a great, natural-looking contouring powder compact for everyday wear. This article on the construction of modern time was fascinating. This navy striped skirt is a must-have for spring and is a great price... and so it this dress. I am also loving the tassel sandal trend for spring. I want these. And in case you missed it, there is a free printable 2016 desk calendar here.